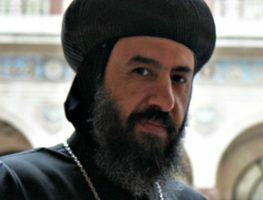 Egypt’s Christians feel sidelined, ignored and neglected by Muslim Brotherhood-led authorities, who proffer assurances but have taken little or no action to protect them from violence, Coptic Pope Tawadros II said. In his first interview since emerging from seclusion after eight people were killed in sectarian violence between Muslims and Christians this month, the pope called official accounts of clashes at Cairo’s Coptic cathedral on April 7 “a pack of lies”. He also voiced dismay at attempts by President Mohamed Mursi’s Islamist allies to purge thousands of judges appointed under ousted President Hosni Mubarak, saying the judiciary was a pillar of Egyptian society and should not be touched. 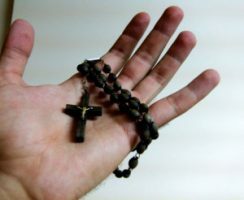 “There is a sense of marginalization and rejection, which we can call social isolation,” the pope told Reuters on Thursday of the feelings of Christians, who he said make up at least 15 percent of Egypt’s 84 million people. Most Egyptians are Sunni Muslims. Attacks on churches and sectarian tensions increased significantly after the rise of Islamists to power following the 2011 uprising that overthrew Mubarak, even though Christians had demonstrated alongside Muslims for his removal. Mursi and his ministers tried to mend fences with the 60-year-old Coptic pontiff after the April 5 clashes in the town of El Khusus, north of Cairo, in which four Christians and one Muslim were killed. Sectarian violence spread to the capital’s sprawling St Mark’s Cathedral, the pope’s headquarters, after the funerals. “Sometimes we get nice feelings from officials, but such feelings require actions, and the actions are slow, and maybe little, and sometimes don’t exist at all,” the pope said. Riot police appeared to stand aside during what was the first attack on the seat of Christianity in Egypt in more than 1,400 years, although Coptic churches and community centers have suffered periodic violence for years. The pope said he was concerned by signs that some Copts were emigrating “because they are fearing the new regime”. Others were going abroad to study, seek work or join family, he said. In a concerted drive, the interior minister paid a condolence call on Tawadros on Wednesday and the ministers of information and tourism visited him on Thursday for a meeting televised on state media. But the pope said that beyond promises to investigate the incidents and bring the perpetrators to justice, nothing practical had been done to improve the lot of Copts. “After the last incidents, we gained some promises from the authorities and the government, from some ministers, but till now there is nothing new,” he said. Christians have long complained of discrimination in employment and treatment by the authorities and called for changes in laws to make it as easy to build or renovate churches as it is for mosques. “Christians’ problems and hardships have two sides, a religious side and a civilian one. The religious side involves two main issues: building churches and land,” the pope said. 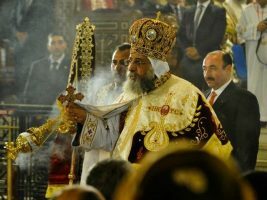 The black-robed pontiff, carrying a white-tipped staff and a Coptic cross in his hand, was particularly scathing about an account of the cathedral violence posted on the Facebook page of Mursi’s national security adviser, Essam Haddad. Haddad’s office said Christians had instigated the clashes by vandalizing cars outside the cathedral during the funeral procession, and that firearms and petrol bombs had been used from inside the church compound, provoking the security forces. A Reuters witness saw at least two people carrying guns and petrol bombs on the roof of the cathedral that day, but the pope said mourners had merely been reacting to an assault. “They did not come to make violence, they came for a funeral, and when they came out of the church, they started to be subjected to violence. And hence they acted. There is a difference between action and reaction,” he said. The pope said the church had not even been asked to provide its account of events to government officials. Pope Tawadros, the 118th head of Coptic Orthodox church, was picked on November 5 in a ceremony steeped in the traditions of a community that predates Islam’s arrival in Egypt. He studied pharmacology in Egypt and England and managed a state-owned pharmaceutical factory for a few years before becoming a monk. The 60-year-old pontiff succeeded Pope Shenouda III, who had led Egyptian Christians for four decades, clashing early on with former President Anwar Sadat but enjoying warmer relations with Mubarak, who acted as the Copts’ political protector. By contrast, Mursi has kept his distance, staying away from Tawadros’ inauguration and shunning Coptic Christmas celebrations, to avoid alienating hardline conservative Salafi Islamists who refuse to recognize Christian holidays. 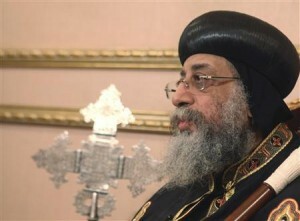 He offended Copts by setting the date for parliamentary elections on the Coptic Easter holiday, then admitting when he changed the polling day after Christian protests that he had been aware of the religious festival.